"This year Brex launched Oval Room by Brex, an events, lounge, and meeting space in the historic South Park area of San Francisco. Located at 110 South Park, Oval Room opened to Brex founders on an invite only basis starting on March 14th and will be open to all Brex founders starting late Spring 2019. At Brex, we place an emphasis on our community of customers and entrepreneurs. At its core, Oval Room serves our customers with a place they can collaborate on ideas, work, meet and perform simple business tasks like printing documents, hosting an interview or meeting and booking a conference room. It’s a place of respite from the vicissitudes of startup life, but also one where critical business tasks can be executed. Delivering a brand that stands for entrepreneurship and remarkable product experiences has been at the core of Brex since our launch in 2018, and we’re proud to bolster those efforts with the launch of Oval Room." Building brand equity is inherently a long-term strategic process, and it can be difficult to manage alongside the pressing short-term needs of early stage startups. Startups and their founders often feel that prior to attaining the product/market fit milestone, it can be hard to allocate time and resources on a longer-term goal like brand-building. Not only do you need to overcome conflicting priorities, it can also be daunting for a small startup to define its brand, as brand is often associated with large marketing budgets and well-known products. That said, brand is a critical component of building a successful startup. Founders should understand and define their brand—even if only in a rudimentary form—before launching any product. 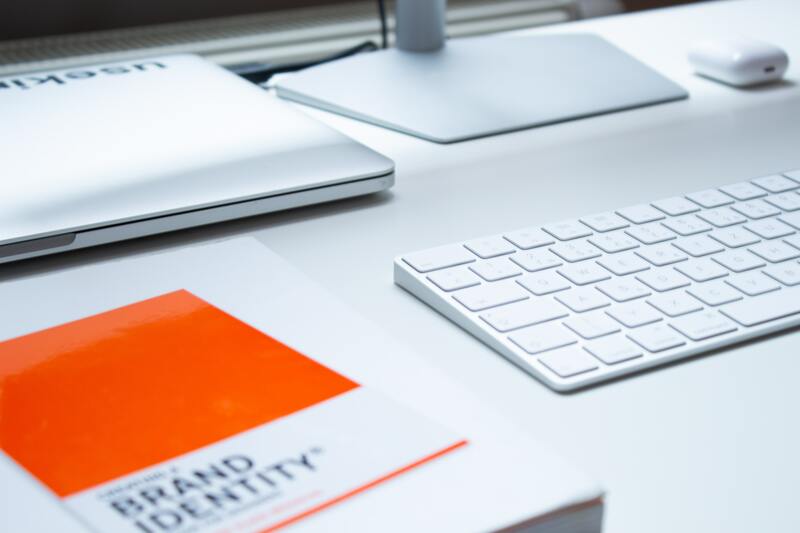 Broadly, branding is the set of ideas, words, values, designs, symbols, images and colors that creates recognition and differentiation of your product. It’s a form of company and product identity. Startups often assume that they should start with details like typography and consistency of color, but don’t get caught up in the details too early on—while important, those decisions should follow the definition of the brand, starting with the company mission. More so than describing the core product, what is the purpose of the company; what is it ultimately trying to do, change, or influence? Once that’s defined, brand definition can be further clarified by focusing on the impact of the company executing its mission—how does it make customers feel? How does it affect their businesses or their lives? After these questions are answered, use them to inform the visual decisions around fonts and colors. These should align with the feeling, mood, and inspiration you’re hoping to drive with your brand. Key characteristics of your product that you want to be recognizable to others. In order to define brand at your startup, you need to dedicate time for the key business stakeholders to discuss and debate. For many small startups, key stakeholders may include all the employees, not just the founders. The brand affects all parts of the organization, so gathering perspectives across sales, engineering, customer support, marketing, and product can help you create a holistic vision that everyone will be excited to implement. When finding a time to define the brand, set aside uninterrupted time when you and your team can engage in deeper thinking without the distractions of the typical day-to-day. If you can, plan an offsite for the team to collaborate on creative exercises or brand sprints that can help you define and iterate on your mission and brand. Some great, in-depth external resources for brand definition include this Medium article and The Story Behind Asana's Rebrand. Once the appropriate time is chosen and the relevant group is assembled, a good practice is to start by stating the mission of the company and the product. Once that is codified, a good practice is for each person in the group to write down a series of adjectives they think of when describing the company’s mission, product and brand. A second exercise should be done but instead of verbal adjectives, the group selects relevant images. The words and images should both reflect the current state of the product and organization but also be aspirational. Once each group member has shared their adjectives, overlaps and commonalities will likely emerge. These areas of overlap then begin to mold a personality of your brand, emerging from the mission, adjectives and associated images. Once you have the written and visual foundations of your brand, the next step is to create an in-house brand book. This can be as simple as a short presentation highlighting the words, colors, fonts and terms which resonate with your brand. Depending on the stage of startup and available resources, create a logo which is clear and within the boundaries defined by your brand book. When creating a logo, it’s important to consider how the logo will look on an app (if that is in your roadmap) and how it will look in very small scale and very large scale (like on a billboard). If you decide to outsource this to an agency, make sure to have the in-house brand book solidified so that the agency can clearly execute on your goal without wasting a lot of time and money. In effort to provide transparency to startups navigating the same decisions as we did, we are sharing our own experience. This is not an official endorsement of any decision path or product decision. With eight people at Brex, we completed the brainstorming exercises detailed above (flashcards and images with all employees in the room). After agreeing on adjectives, colors and images, we created an in-house brand book and hired an outside branding agency to help select a font and design a logo. We defined our brand, before asking a third-party to accurately capture it.